Read the book, see the movie? There are times when I’m in the middle of a really good book and I think, “Wow, this would make a great movie, too.” I can picture the characters acting out and living the story as it unfolds. Often as I write, I can picture the scenes in my head as if real people are living and breathing from my imagination. I don’t know about you, but it’s been exciting to see a number of contemporary Christian romances turned into movies and broadcast on channels like Hallmark and UP!. 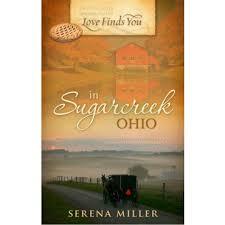 For example, several years ago I read Serena Miller’s Love Finds You in Sugarcreek, Ohio, and I really enjoyed it. 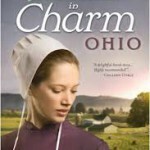 There’s a strong Amish theme throughout the book, although the hero and heroine aren’t Amish. When I heard Serena’s book was being turned into a movie, I was thrilled to hear this. Then on premiere night, I made sure I had my DVR set just in case and made time to watch the story. And, there it went, and I saw Rachel Troyer come to life on screen. 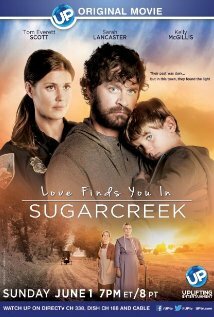 Then Joe and his young son arrive in Sugarcreek and the story unfolded. I loved the retelling of the story for the screen. For me, it is sometimes a bit unsettling to hear of a book that I’ve enjoyed being made into a movie. They’re not inspy romance, but whenever I hear the Chronicles of Narnia area being made into movies, it troubles me a bit. There’s so much in the stories that can be lost, and attempts to “modernize” the stories would fall flat for me. To me, the real-world setting is always World War II England and some years beyond that. A good screenwriter will know how to lift out those elements that translate well as images. One thing I didn’t know until I contemplated writing screenplays once upon a time is that one page of screenplay equals one minute of film time. No wonder it’s a challenge to condense rich works of fiction into less than 240 pages, or even 120 pages. Have I missed any recent or future books being turned into movies? If so, feel free to share them here. Also, are there some movies you didn’t think lived up to the book, or maybe took the book in a different direction altogether? And lastly, what book would you love to see transformed into a movie? 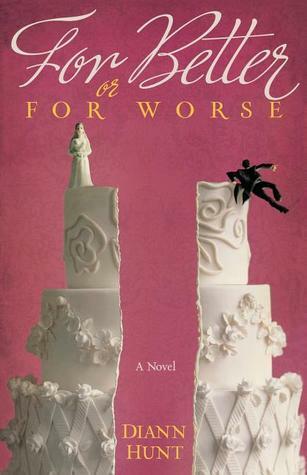 I was just telling someone that Five Brides by Eva Marie Everson would make a great movie. I haven’t heard of that one, will have to check it out! I generally love the idea of books getting turned into movies but so many times the character in my head doesn’t match the character in the movie. And then I get distracted. Most of the time, I prefer the book over the movie. One of my favorites is Love Comes Softly series by Janette Oke.I’ve watched them over and over on The Hallmark Channel. Oh, yes, the Love Comes Softly series!! Speaking of Janette Oke’s When Calls The Heart, I wasn’t sure how I’d like the series spin-off from the original book(s). But I do. Way back in 1985, I remember my then 13-year-old niece, an avid Anne of Green Gables fan, being frustrated and, yes, angry while watching the brand new CBC mini-series. To her, Megan Follows and Jonathan Crombie were NOT Anne and Gilbert. I’ll never forget her tears! For me, I very rarely watch any movies at all (two a year, if that) and can’t get Hallmark in Canada (as far as I know). I’m a reader through and through! 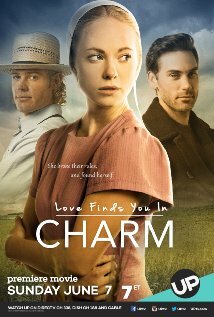 I did not like Anne of Green Gables or Love Comes Softly after the first movie because they really changed the story. I especially hate the last Anne of Green Gables episode. It was exciting and dramatic but not true to the story at all. My worst experience was I started watching a recent adaptation of Jane Eyre and I felt like they completely changed Jane’s personality. Some things may be changed but the heroine’s personality is not one of them. I’m pretty sure I stopped watching before the Hero even appeared in the story. In some ways, I’d enjoy seeing the Mitford series by Jan Karon in movie form, but I’m afraid no one could live up to the image I’ve built of Father Tim in my mind. I’m not sure if I would actually watch a movie version or not. Yes, I felt the same way about the Anne series. Now, another L.M. Montgomery book I’d love to see as a movie is The Blue Castle. In most cases the books are better than the movie. Movies usually don’t capture the inner thoughts of the characters like a book does. Not very many movies are true to the book. They always make changes. I enjoy a movie more when I haven’t read the book it’s based on. If I’ve read the book, I’m more apt to be critical of the movie because it can’t be totally accurate to the book. I much prefer reading to watching movies. 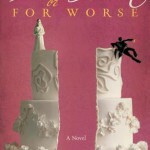 I would love to see Carrie Turansky’s Edwardian Brides series turned into a trilogy of movies. Beautiful stories that I know people would love. I’m reading the third book, A Refuge at Highland Hall, now and it’s quickly becoming my favorite of the series. Oh, my, I LOVED the movie and the book!! 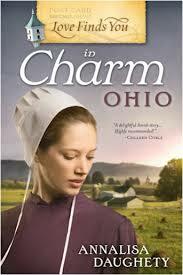 Amish Christian fiction is my favorite genre. I have watched the movie many times, and never get tired of it.